Is America Prepared for Aging and Long-Term Care? The Scan Foundation together with Associated Press-NORC Center for Public Affairs Research has conducted a survey about the attitudes and perceptions of Americans who are 40 years old and above. 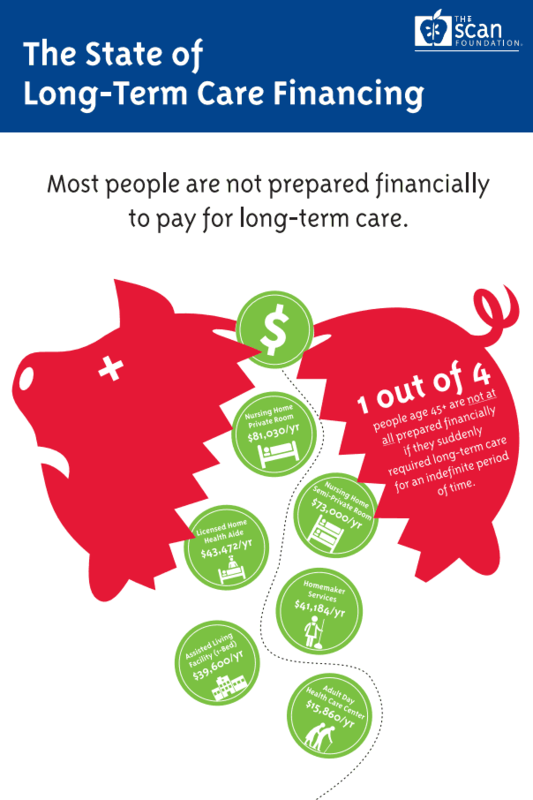 The survey showed that most people are not prepared financially to pay for long term care. You can read the full brief when you click here. 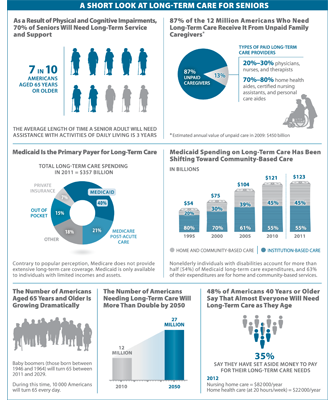 Below you can find the infographic from TheScanFoundation.org about the state of long-term care financing in the United States. This infographic is about long term care services and support for seniors in the United States provide information about the role of Medicaid, number of seniors who will need ltc because of cognitive and physical impairment, and the role of unpaid caregivers. You can see the full article about this infographic when you visit this website. One thing that people often forget is to plan for long term care. They fail to anticipate their future care needs and prepare for the high cost of ltc services. 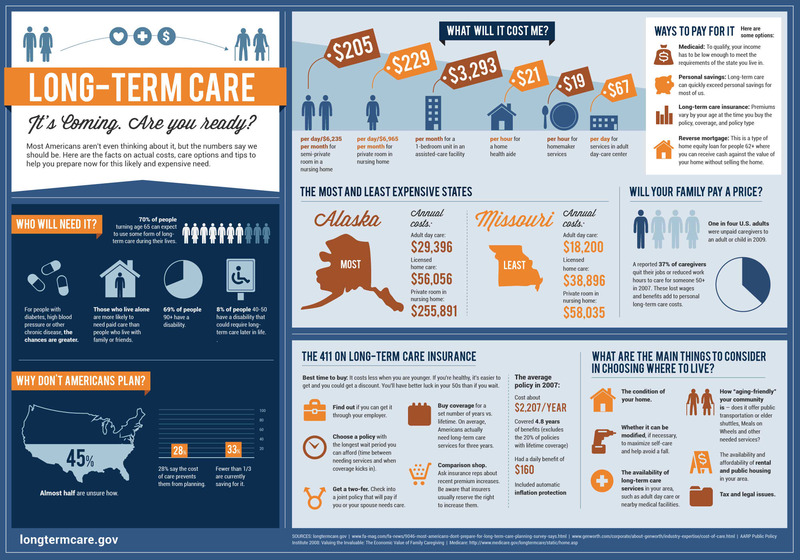 Through the infographic below, you’ll learn about important facts on ltc, its real cost, your long term care options and tips on how you can manage its hefty price tag. Click here to view the full article. You are currently browsing the archives for the Infographics category.